“But,” I told him, “I want to walk to the post office. I need an adventure.” And he knew that was true. So I bundled myself up – hat, wool sweater, thick socks, snow boots, gloves – put my backpack on and my camera around my neck and set out on my Big Adventure. 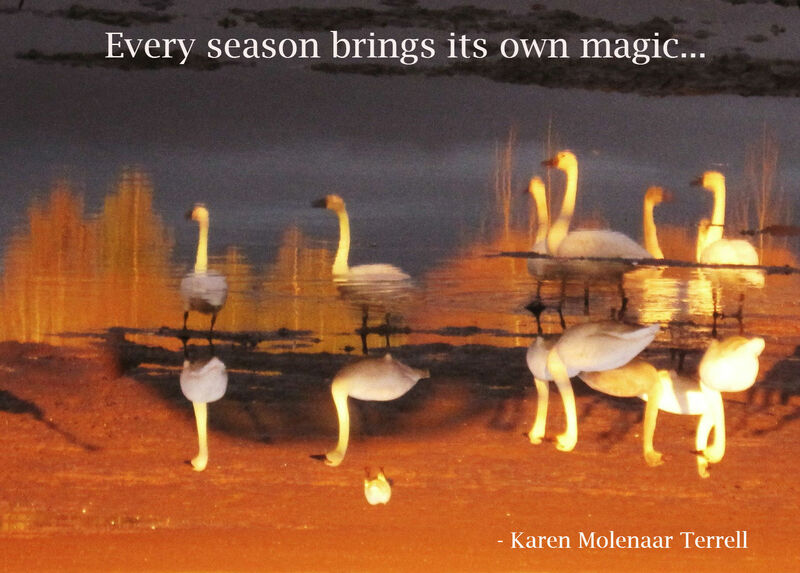 Photo of trumpeter swans by Karen Molenaar Terrell. The trumpeters will be back soon! 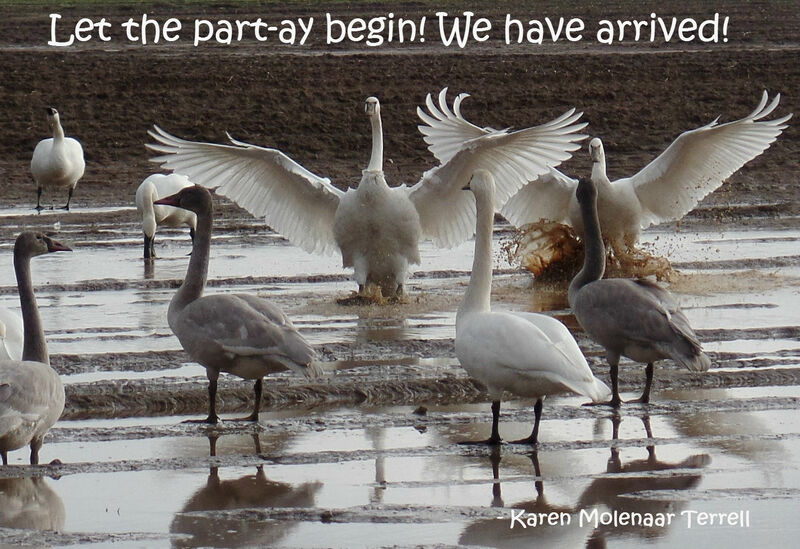 Photo of trumpeter swans in Skagit County, Washington, by Karen Molenaar Terrell.